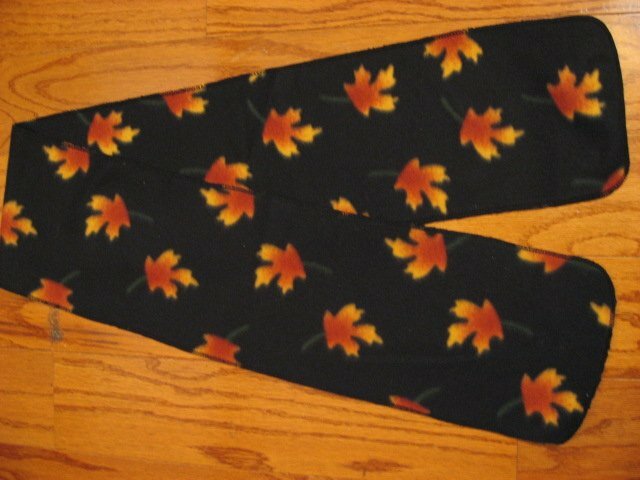 Pretty, soft, Autumn Fall Leafs Black fleece table runner or scarf. Smoke free workplace of professional seamstress. Pretty, soft fleece scarf. No fringes. All the edges are finished, and the corners are rounded.